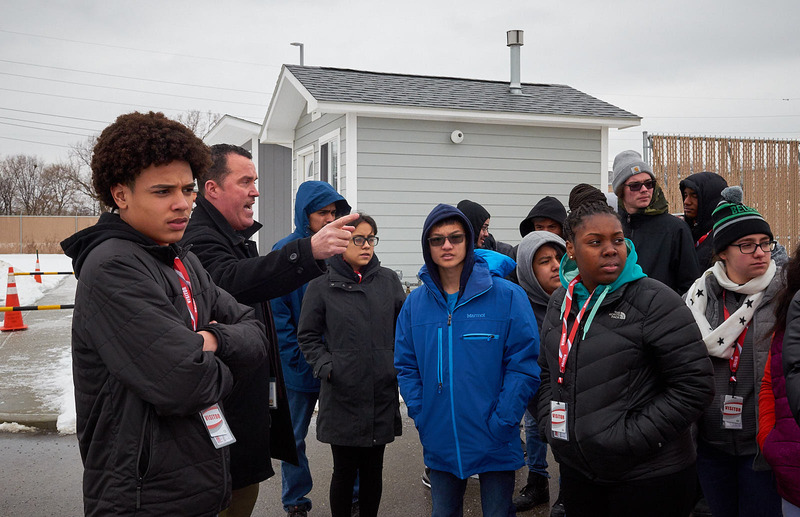 On Tuesday, Jan. 22, a select group of CPS students from George Westinghouse College Prep (GWCP) participated in an educational tour of the Peoples Energy Training Center, which opened last summer. 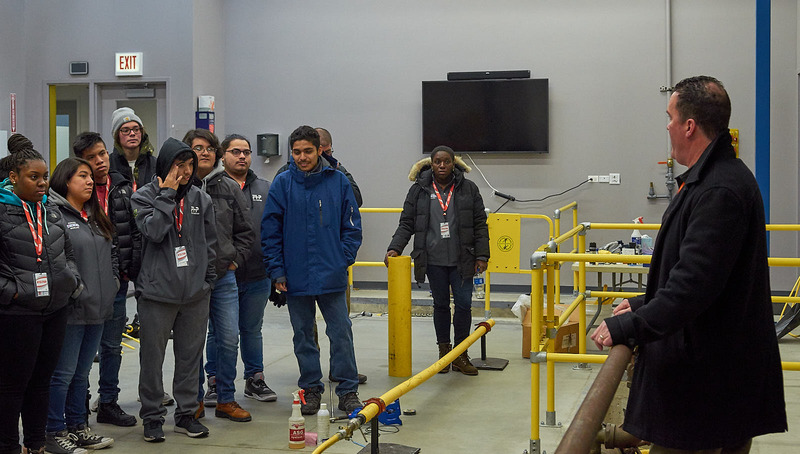 All participants in the competitive Paschen Scholars Program toured the facility and explored careers in the field of engineering. The 100,000-square-foot training center includes a mock gas city that delivers natural gas to 20 mock homes and businesses. Peoples Gas and North Shore Gas workers use this facility to practice safety inspections, service operations, installation and more. About 1,600 natural gas utility workers receive training at this facility each year. 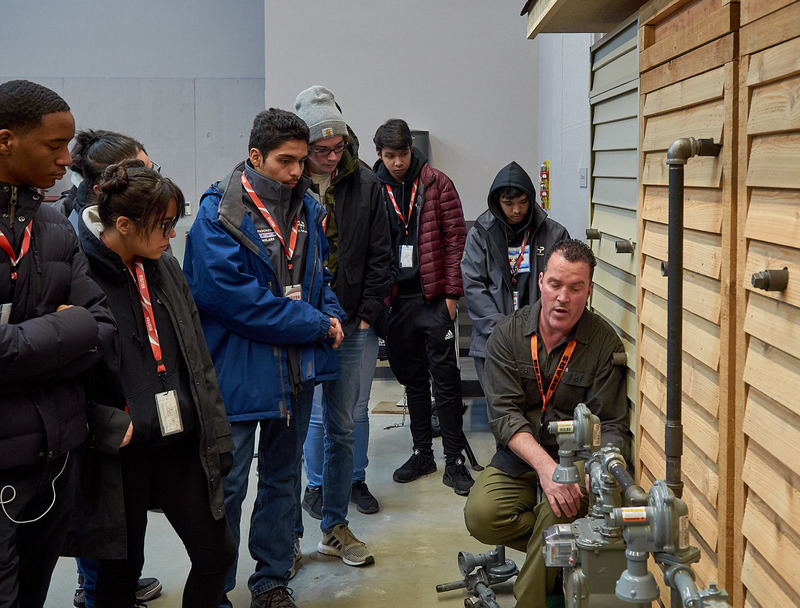 Students participating in this tour represent each of the current three cohorts of Paschen’s Scholars Program, a curriculum that includes hands-on activities that allow the Scholars to develop technical skills, build problem-solving abilities and gain real world work experience. The competitive Paschen Scholars program goes way beyond an average internship. Three years of STEM curriculum, summer internships, exposure to college engineering programs, construction site visits, classroom-to-site applications and one-on-one support ensure each student can seek the STEM career of his or her dreams with confidence.